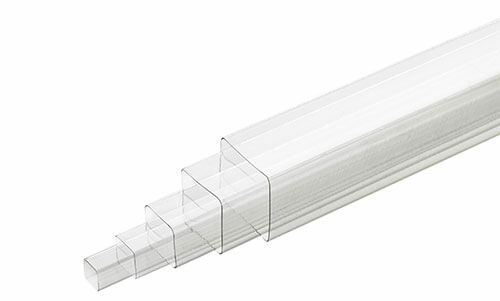 Square tubes are an economical alternative for most retail products. The square design is appealing to the eye, stackable, and has a flat surface that not only prevents the contents from rolling, but is also easy to label. This line is ideal for products in the health and beauty, toy, and housewares markets. For your shopping convenience, we provide a link directly to our ecommerce store for products that are for sale online. For custom projects, availability, or any other additional questions you may have, please contact us directly. Need a different length than our stock tubing? We can extrude any of the diameters listed to any length you specify.